I’ve heard some call it lotion for the soul. It is soothing. It is refreshing. So I can see why. Today my lotion was scented with the smell of sun-heated fields and a breeze surfing through huge, ancient oak trees. It also contained corn and potato fields, summer flowers and an eight-month-old littlegirl with a smile that put the sun to shame. All if this is just off my doorstep these days. What is the best lotion for your soul? 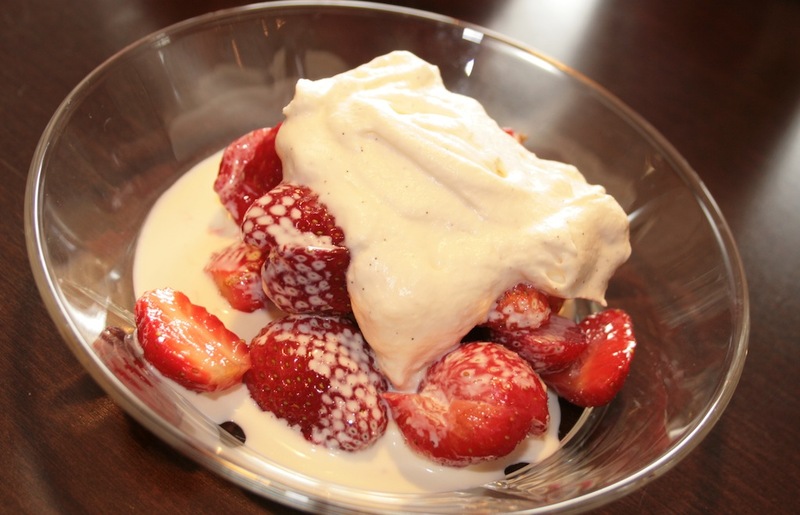 I think one of the most common and simplest desserts in Norway during the summer is fresh strawberries with cream and sugar. So delicious, so fresh and so extremely easy! This time served with a dash of whipped cream (with a bit of vanilla added to it). Remember to rinse the strawberries properly, they do grow very close to the ground! Last weekend we spent a day at my parents’ place, or rather in their garden. They were about to leave for a week long vacation and had no intention of using the many berries in their garden. I thus took Husband and Son with me and picked clean almost every bush. It’s has not been a very good spring or summer for certain types of berries. I had hoped to find at least a few litres of blueberries, but they were scarce, sour, and small. The currants, black and red, were also scarce this year, and we only found about half a litre of each (despite the 6 bushed of black currant!). One bush that really surprised me was the gooseberry bush. 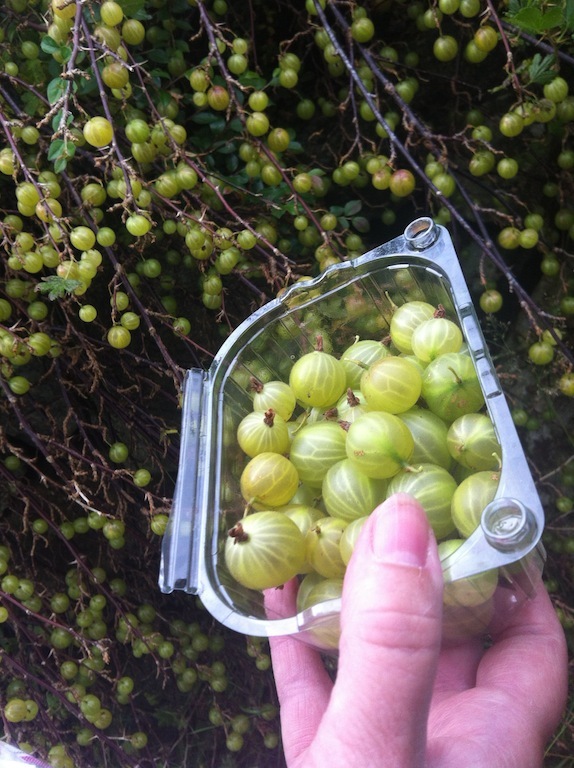 Never before have I seen a gooseberry bush carry as many berries. Each wee branch was heavy from the big berries. They hung like clusters of grapes. Unfortunately though, I believe I am the only one in the house who likes the taste of gooseberry products, and after about ten litres of berries we decided to stop. During a short visit at my grandparents’ we picked about half a litre of raspberries. For the first time ever I managed this year to take advantage of the many tress with elderberry flowers in the area. So I made (what I think at least in Scotland would be called) squash. A sirupy drink containing quite a lot of sugar, which is made to be rather strong, but is added water to before drinking. We call it saft (we also have ‘jus’, ‘nektar’, and ‘sirup’, which are all similar but not the same). After trawling through dozens of blogs and cooking sites online, I finally found a recipe I was willing to try. 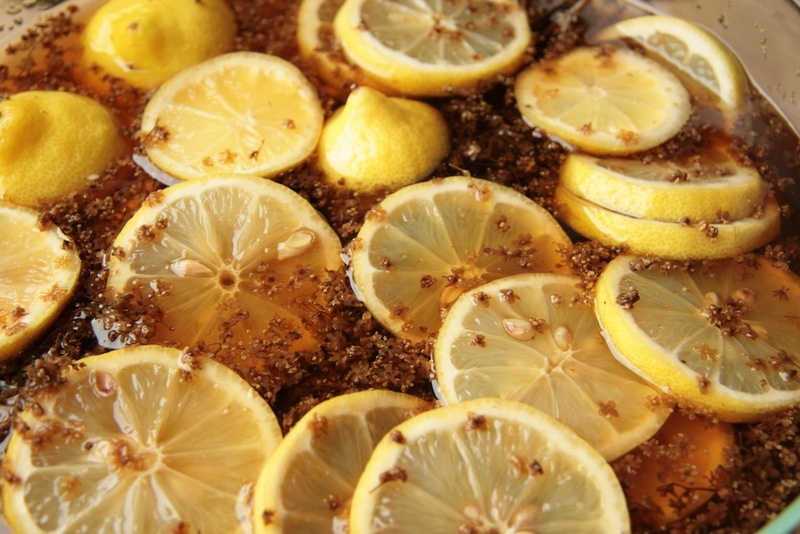 Many called for what seemed to be extensive amounts of sugar, only to be balanced by quite a lot of added citric acid. After reading up, I set out with my own recipe made up after comparing many others. I picked the flowers while visiting my parents, and thus simply froze them to keep them from wilting completely. That resulted in a ball of brown flowers that were lumped together so much that I did not manage to rinse them. I imagined the cold would have killed of most bugs, and the forthcoming heat would kill the rest, so I simply shrugged and got on with it. Then I measured up two litres of plain, good, cold water and added to a large pot with one kilo of demerara sugar. I’m not a big fan of white sugar, even though that makes the colour of the ‘saft’ a lot nicer, so that is the reason for the brownish colour of my drinks. I brought the mix to a boil and let it simmer until the sugar had dissolved. Meanwhile I sliced (I lie a bit here, it was actually a friend of mine who sliced the lemons, but I think he would prefer to keep that a secret, so shhh!) 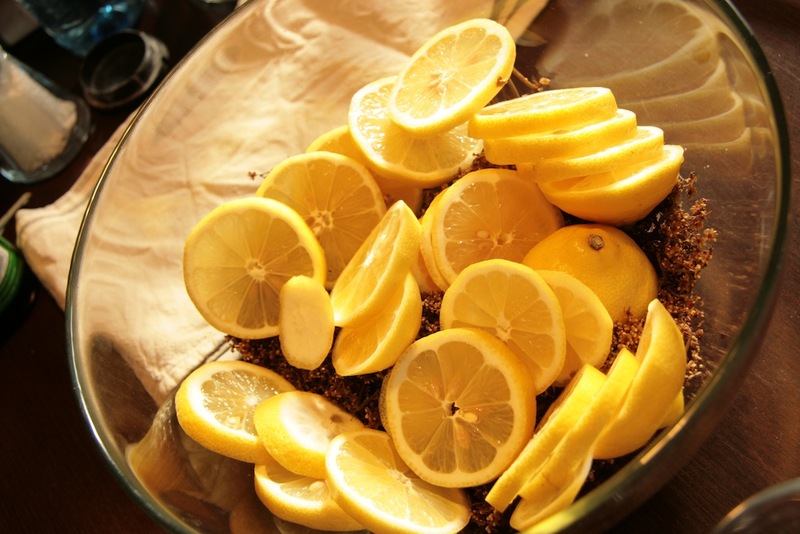 the lemons and added them to a big bowl with the ball of intertwines flowers. After the sugar had dissolved I poured the water over into the bowl. Take the bowl and cover with plastic, a lid, or something that will keep away yucky things that are attracted to sugar. Then leave somewhere that is not too warm (out of the sunshine!) for about three days. If you manage to stir it once a day, you’ll do a better job than I did! After those three days, sift it through a muslin cloth (or similar) and either freeze in smaller boxes (glasses, etc) or add to sterilized jars or glasses (I froze boxes of ‘saft’, so much easier). To one part ‘saft’ add about two parts water. I found the saft to be a little too sugary. Next year I don’t want to add more lemons as the taste of the lemons can easily overpower the delicate taste of the elderflowers. I was so pleased having made all organic saft this year, but might have to turn to powdered citric acid next time. Unless you have a good idea? And here is, btw, where I found most of my inspiration. Spring had been dormant for quite some time, but was turning in its sleep feeling the sun’s rays increasing in heat tickling its back and reminding it to come back to start the circle of life again. A friend of mine, I, was home for a few days, and despite wanting to spend a lot of time together, all we could find time for was a morning walk in the sun. We decided on a short route in our neighbourhood, slightly modified to include a few geocaches in the area that I had yet to find. My friend, of course, thought me mad when I started talking about running around to find lunch boxes that strangers had left for us to find. But after we had tracked down a nano, which is a tiny box the size of your little finger (from the last joint out), she was I was no longer searching on my own. The next cache was atop a tree-covered mound. 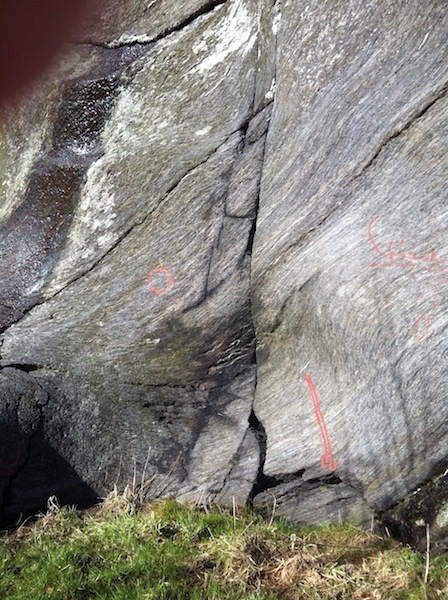 Climbing up we passed rock carvings dating back to somewhere between 2500 and 4000 years ago. The thought of these carvings having been present for all those years, and all the people who have looked at them, felt them, and fantasized about their origin, and the their carver, I find quite dazzling. 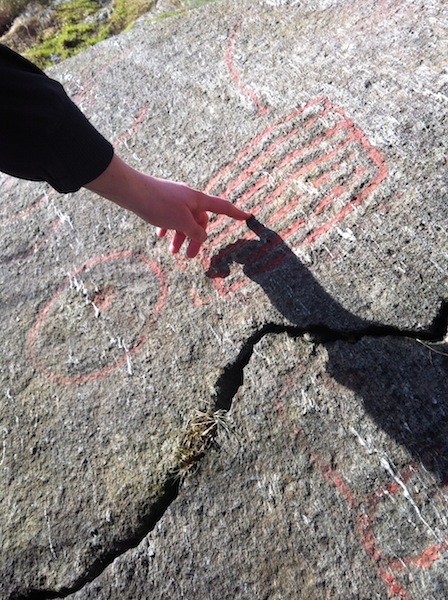 My friend bent down and gently traced the carvings. 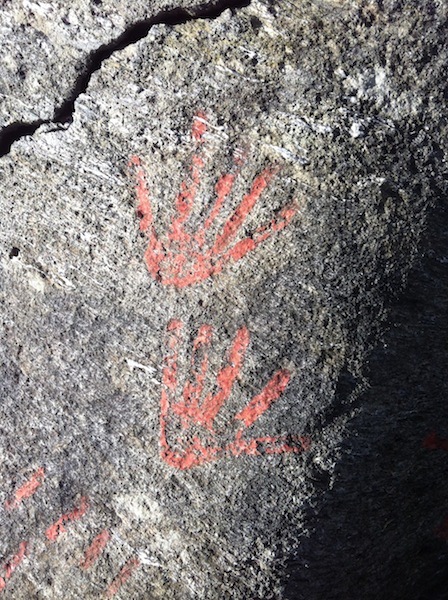 As her hand came close to the rock, a shadowy hand from the past reached out and met her outstretched finger. The wee walk had turned into so much more; treasure hunting, history lessons, and good conversations had my friend referring to hobbits and journeys, friendship and adventure. The last few weeks it seems like the entire country has been bathed in sunshine. Spring is here and the temperature is slowly rising. Some days, however, the sun comes as a surprise on the landscape that has for so long been lingering in the cold, and as protection the sea rolls in with a heavy veil of fog. 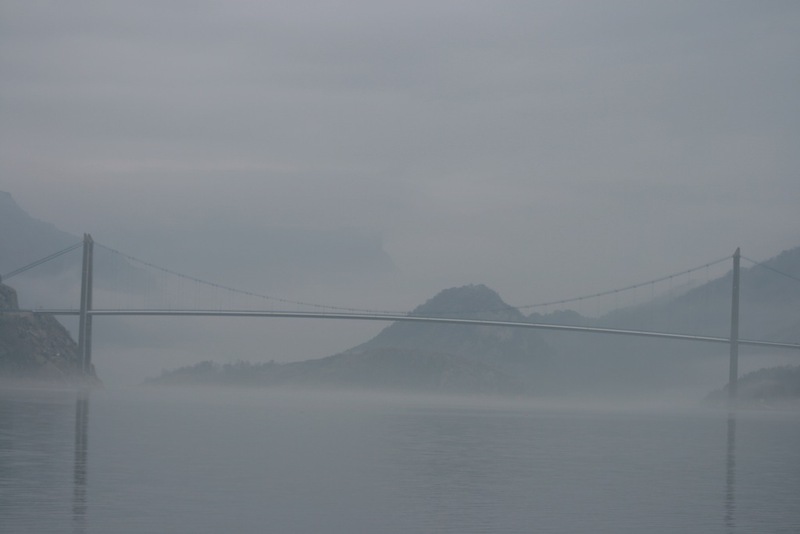 The fog covers the long fjords and rises up around the cold water, creating an air of mystery and tranquility. I took these photos on my way to visit my parents. 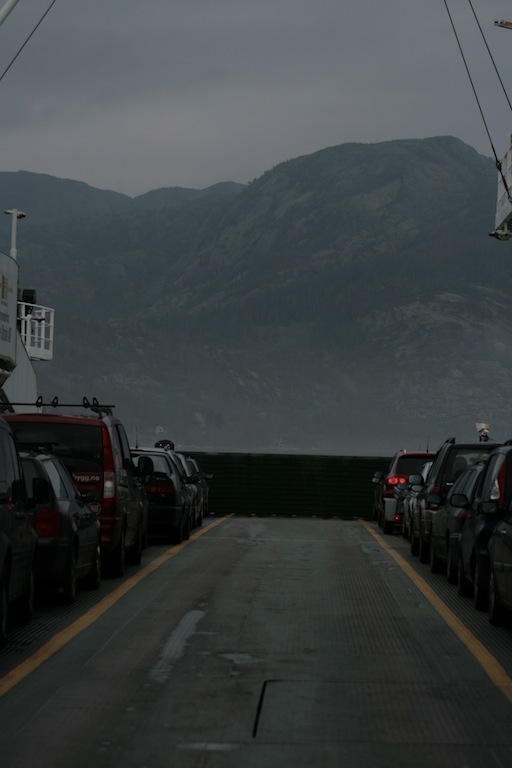 The ferry across the fjord was the perfect time to get out of the car and capture the white surroundings. I’m quite weak when it comes to swords. 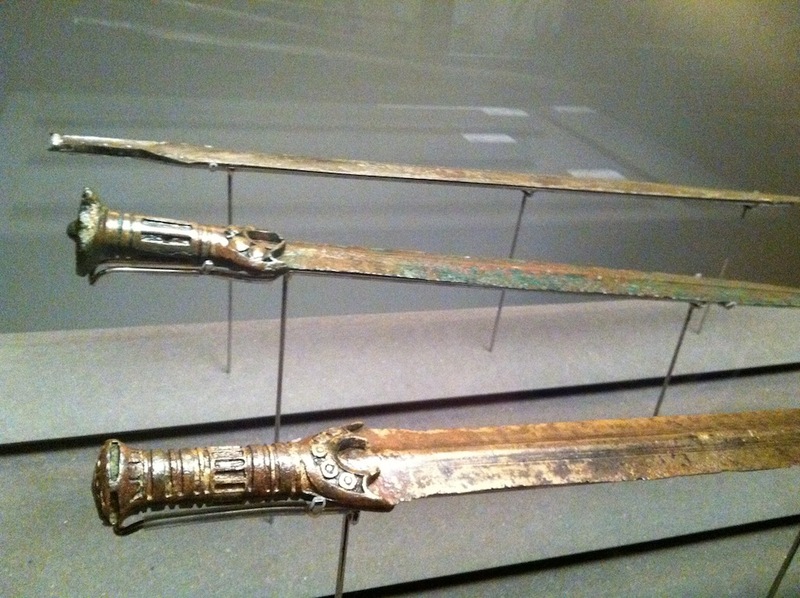 Of course physically, when compared to a sword, but also how I am very fascinated with swords and how they were made, used, etc. I even own a few myself. This is a little odd as I am very much against having weapons in the house, and I guess I am as close to being a pacifist as one can be, but without making much of an effort to promote my views. 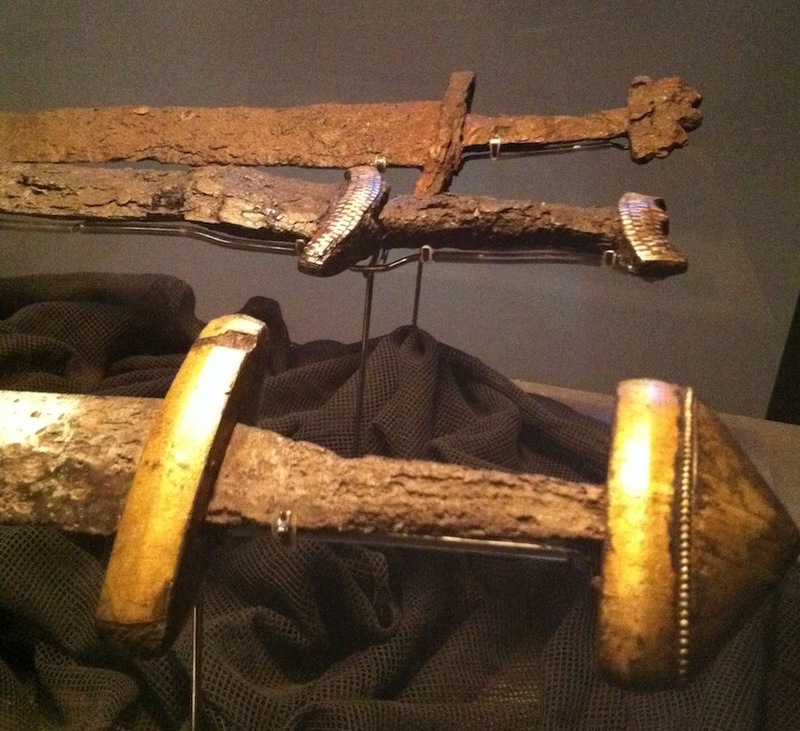 Old swords get my attention. The new-fashion types that are designed to look like something bizarre out of a fantasy novel do not catch my interest at all. A claymore on the other hand, with its 140cm, and a design that was developed based on its use and the preferences of the individuals who wielded them – then we’re talking! 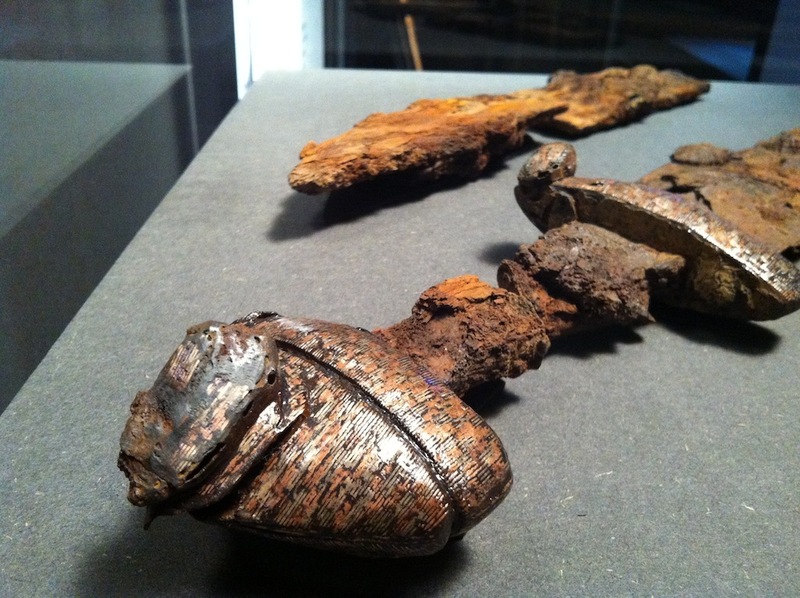 Or the swords of vikings, where some of the metal came from far away and was mixed with the local sorts, in order to make the metal exactly as hard and flexible as it needed to be. 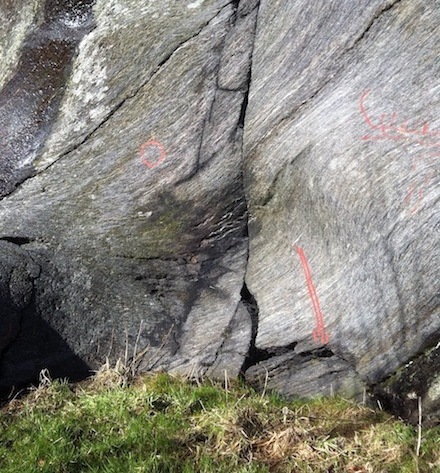 With carvings and decorations that told stories about the sword’s wielder. Fascinating! Son is now in a pirate phase. Everything pirate is amazing in his eyes, and he roams around every day singing songs that sound like sea shanties and threatens family members to walk the plank. I don’t mind this craze, I know it’s temporary. But I am guilty in trying to steer him towards my own interests, without taking him too far away from his own. Or, I don’t really want to steer him onto anything, but now that he is interested in pirates, I thought that was a good chance to introduce him to vikings. So on a Sunday afternoon I took him to the archaeological museum in town to show him these beauties (see photos). And he did love it, almost as much as I did! 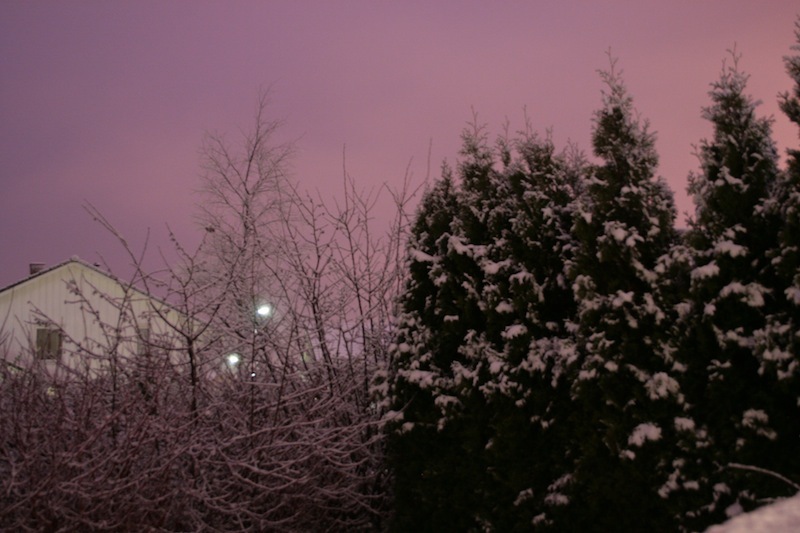 We awoke on Friday to a landscape radically different to the one we had seen outside our windows on Thursday evening. 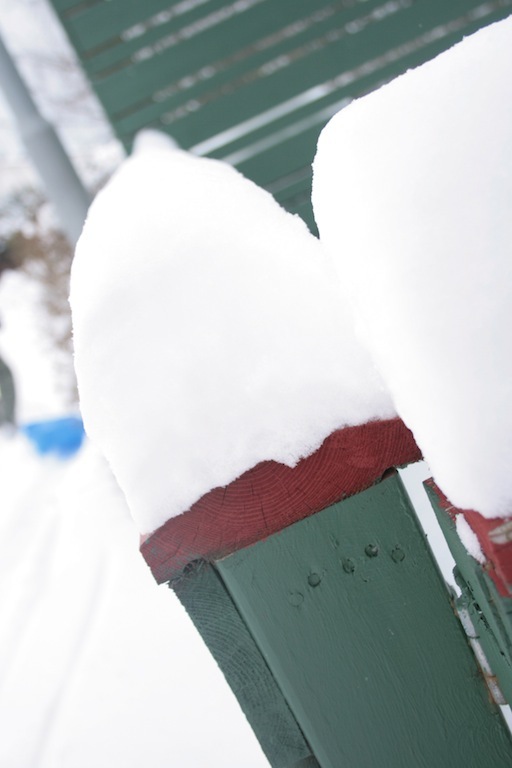 Snow, quite a few inches deep, covered everything: houses, cars, trees, lawns, roads. It was beautiful. 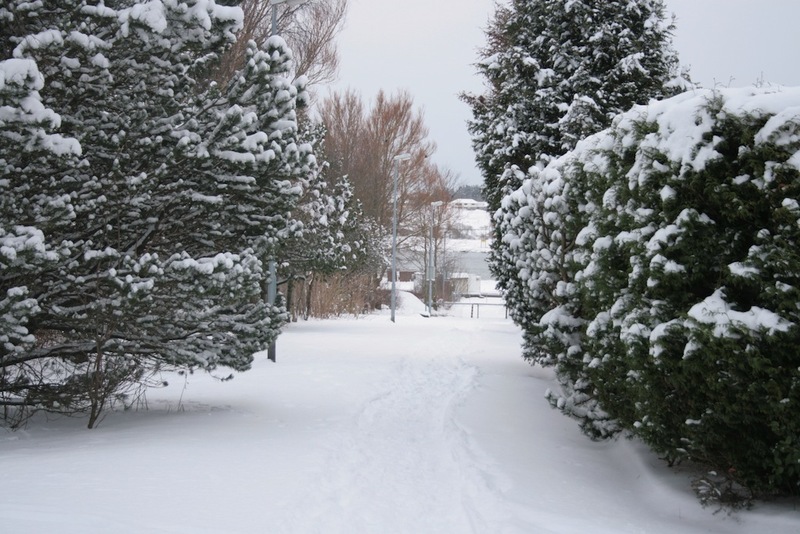 With a temperature dipping below -5 the snow was like a powder, a small gust of wind would whirl up a cloud of white. Although beautiful, the cold did not look tempting and required no close inspection. Luckily I was able to work from home. 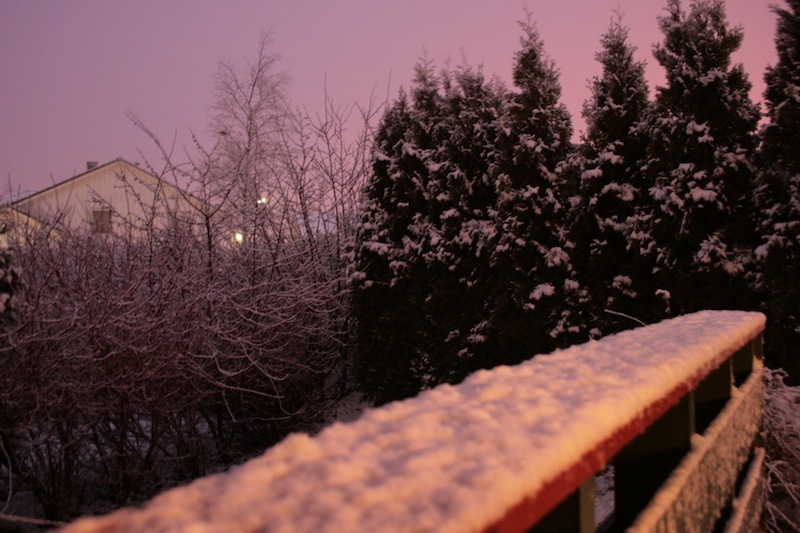 Today is the day we celebrate Christmas in Norway. The sun ‘turned’ a few days ago so we’re a little late in celebrating the coming of longer days and more sunshine, but today we celebrate family, joy, and enjoy the time we spend with out loved ones. There’s also a touch (!) of materialism included in the celebration of Yule and some of us also attend church to get a drop of religion added into the mix. 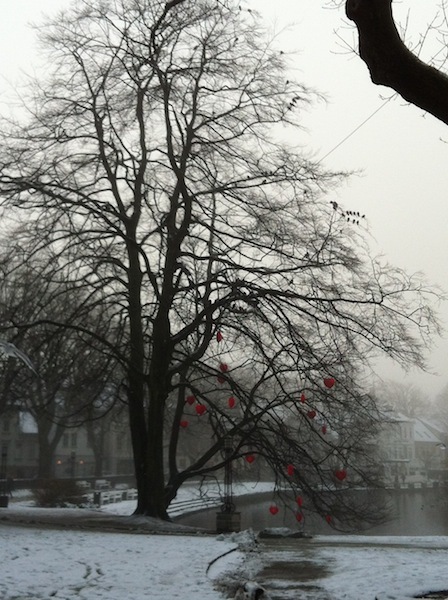 One of the trees standing near the wee lake in the city centre is decorated with heart-shaped lights every year. 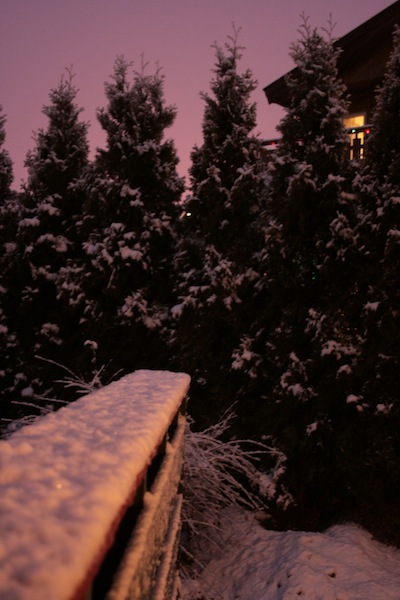 This year snow covered the ground and made the place looking even more magical. Yule eve (juleaften=yule evening) doesn’t really get serious until late in the afternoon. How you spend the day depends on the amount of responsibility you’ve been given or have taken on. For those of us not cooking, cleaning and running errands, that means sitting in front of the tv for hours watching the same shows that are sent every year at this time. I try my best to help out but find myself being ushered away only to end up doing nothing. The evening starts with a massive dinner of ‘Pinnekjøtt’ (=stick meat. ‘pinne’ is basically a wooden stick). I’ll get back to the etymology of the word in a later post (posting about pinnekjøtt before yule is to me a no no as I only eat it once a year). The family is gathered, we’ll be 12 around the table this year: kid, spouse, siblings, parents, grandparents, aunts, uncles and cousins. After dinner we have ‘riskrem’ for dessert, which is similar to appelsinris. In the big bowl of ‘riskrem’ there is an almond. The finder of the almond gets a prize (usually a pig-shaped, chocolate-covered marzipan – no logic there). 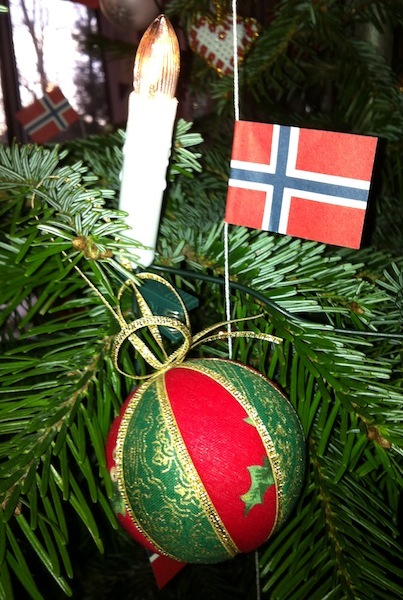 Some decorate the tree with Norwegian flag - a tradition that started after world war II. After uncles have spent hours devouring food (an uncle is always blamed for the duration of the meal) we move to the living-room, the tree, and the presents beneath it. When we were younger we used to dance around the tree, but when most kids became teenagers the reluctancy grew, and the dancing became a thing of the past. Son will be the only person under 20 this year, which means there are many adults who’ll do their best to please him, so spontaneous dancing might occur. After all the presents have been unwrapped we eat a bit more. And the hours pass as we talk and laugh, eat and drink. I hope all of you have a wonderful day and evening, no matter how you spend it. But no matter what your religion or ethical outlook on life – take care of those around you and appreciate their presence. God jul! The first snowfall in the city happened while I was in a different city. 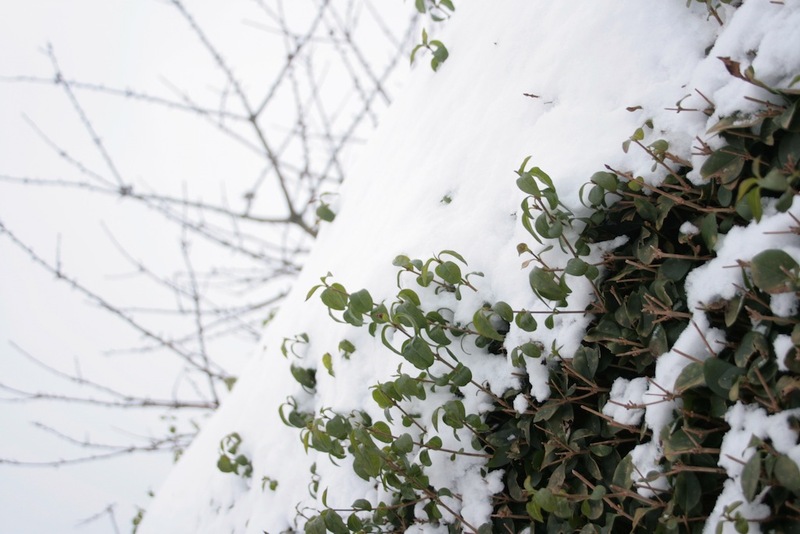 A few centimetres of snow fell while I was in London and was already gone by the time I came home a day later. I thus missed it… But the weather gods understood my frustration and have now gently bestowed upon us a few centimetres of snow. The snow appeared from dark skies that have been looming over our house for hours and came falling down before it was too late collect photographic evidence!